In August 2014, Tesco said it expected half-year profits to be about £1.1bn. However, weeks later it said profits had been overstated by about £250m. 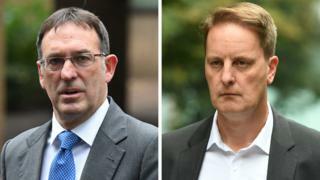 It was alleged they were aware that income was being wrongly included in the company’s financial records to meet targets and make Tesco look financially healthier than it was. The profits numbers had been flattened from £1.1bn to £250m by early recognition of payments from suppliers who sell their goods in the supermarket’s stores, as well as delays in charging costs. The jury was discharged and exempted from jury service for 20 years.